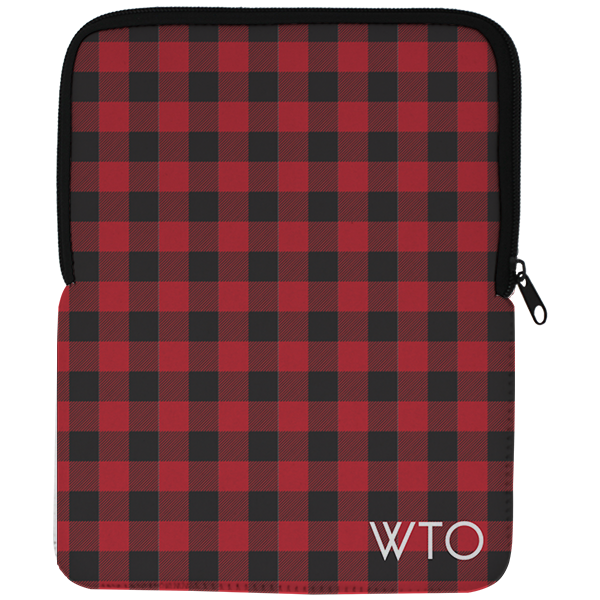 Channel your inner lumberjack with our Lumberjack iPad Air Sleeve. It's super protective, stylish and you can personalize it with your name or monogram! Channel your inner lumberjack with our Lumberjack iPad Air Sleeve. It's super protective, stylish and you can personalize it with your name or monogram! Our notebook measures approximately 7.5"x9.75" so it fits your iPad air securely. Notebook are made in the USA. Adding a monogram adds a touch of personalization. Order today!